All the talk before the start of the match was whether Puel would last to the end of the season. He had been given the support of the club chairman on the previous day which in normal circumstances means nothing. 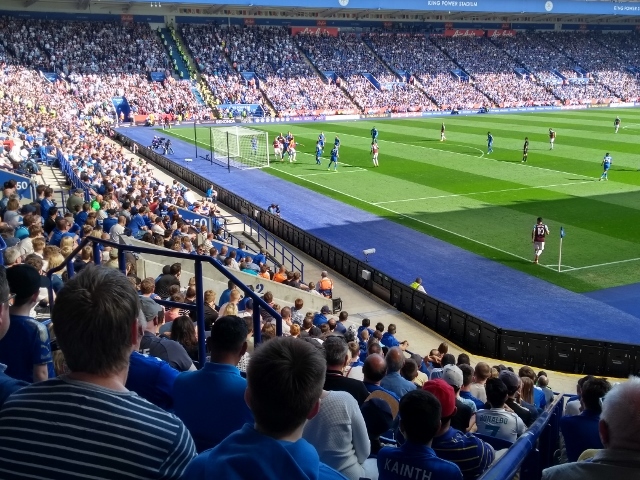 Time would tell whether Leicester’s performance and result would strengthen that support. 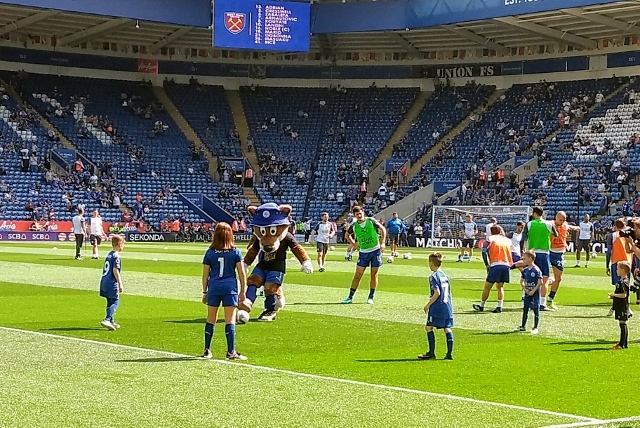 With so many injuries and one suspension to contend with, Claude Puel was not holding many trump cards with which to play a strong hand in this match. Whereas, David Moyes, although under a different sort of pressure, was revving his players up to ensure that they had a chance of survival in the Premiership. Leicester’ position in the table meant safety for another season. Were the team interested in obtaining three points from this match? The answer was apparent within minutes of the kick-off. West Ham had not come for a draw. They were on the front foot from the start and showed the keenness, awareness and intensity to attack at every opportunity. The warm afternoon weather did not bother them. They were first to the ball in every section of the pitch. They looked confident, assured and moved the ball around with purpose. The majority of the first thirty minutes was one way traffic and it was not toward the West Ham goal. It took all that time for City to muster a shot that was roughly in the direction of that goal. Hamer, standing in for the injured Schmeichel once again, was the busier of the two goalkeepers. But entertainment value was generally sparse in that period. Then West Ham found a different gear. Arnoutovic forced Hamer into a good save with his legs; the same forward then turned Wes Morgan with frightening ease and shot against the bar. A minute later, Masuaku made a good run down the left wing and crossed to the far post where Fuchs tripped over the legs of Arnautovic and was unable to deal with the latter’s cross into the path of Mario. Unmarked, he had the simplest of jobs to smack the ball into the net. The 1-0 lead was the least that West Ham deserved. There was a little more passion from City after this setback with Diabaté, in particular, making an effort to go forward and get past a resolute West Ham defence. When Mahrez finally managed one of his dazzling runs and crossed the ball into the box, there was nobody there to attack it. The first half showed that the damage done by the forced omission of key players was hurting City. Benalouane was at right back and looked as if he was unsure how to play that role. Iborra and Choudhury were not gelling in the centre of midfield. The latter, especially, spent a lot of time chasing fresh air. 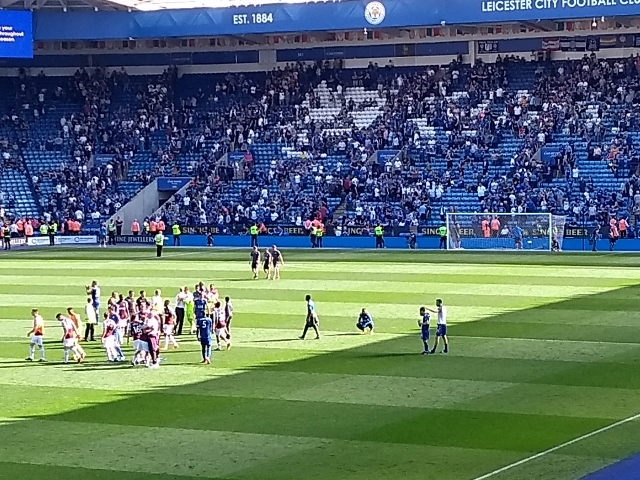 Vardy had no chances to run on to long balls and was no less a spectator than we were in the stands. As Iborra had come back from injury earlier than expected, we were not too surprised to see him substituted at half-time by Dragovic. But this meant that we started the second half with Maguire moving forward into midfield and taking on Iborra’s role. How would this work? Well, for the next quarter of the match it spurred City into a more attacking mode and they seemed to find second or even third gear. 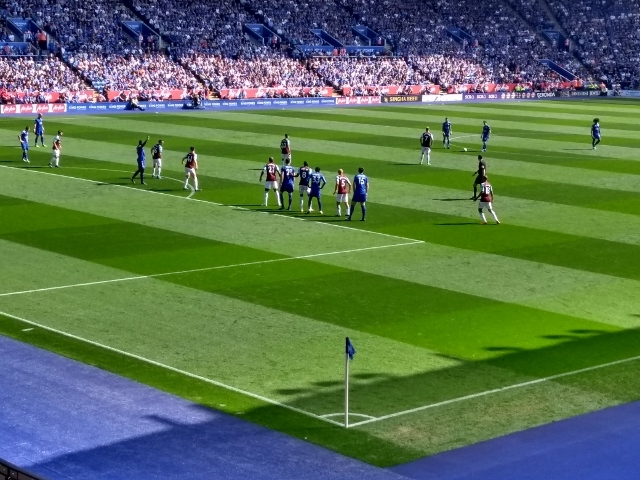 Maguire, himself, who during the week, had walked off with all the player of the year accolades, managed a powerful shot towards goal which needed to be two feet lower to be on target. A minute earlier, City made a double substitution, bringing on Iheanacho and Gray for Choudhury and Diabaté, at which point the crowd starting chanting “You don’t know what you’re doing”. Usually, this remark is aimed at referees when they have not given the decision that the crowd would like to see. Would Claude Puel be aware that this was aimed at him? The decision was strange as Diabaté, especially, had shown promise. Earlier in the half, it was his long pass that had allowed Vardy to run towards the box with only Cresswell to beat. The latter had somehow managed to trip and fall on to the ball and grab it with his hands. This earned him a yellow card and, as it was just inches outside the penalty area, gave City a free kick from a dangerous position. It came to nothing. With little more than 25 minutes remaining, West Ham were awarded a free kick near the right touchline just into the City half after Dragovic had blocked Mario with his body. This earned the defender a yellow card. 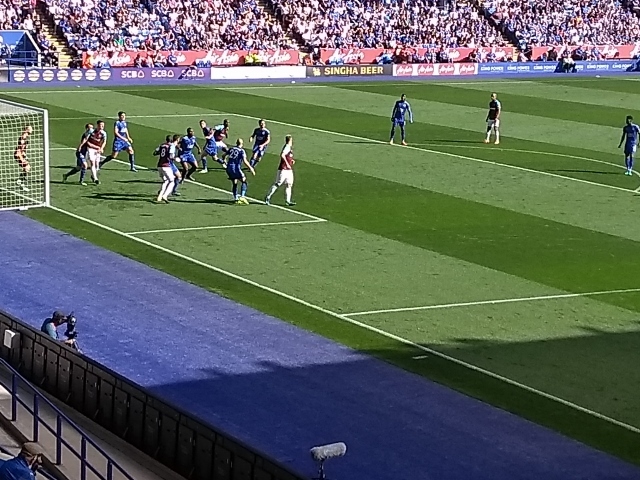 When the same defender headed out the subsequent kick, the ball came towards Noble, who was well outside the area, and he struck it first time on the volley through the crowded box and into the left hand corner of the net. At this point, West Ham were happy to defend a 2-0 lead and, although City kept plugging away at the opposition goal, there were no really dangerous moments for the visitors until the 86th minute when Silva had a good shot on goal. This was City’s first shot on target during the match and prompted the crowd to cheer loudly, singing “We’ve had a shot on goal”. When the final whistle went, the boos were louder and more numerous than after the Southampton match. 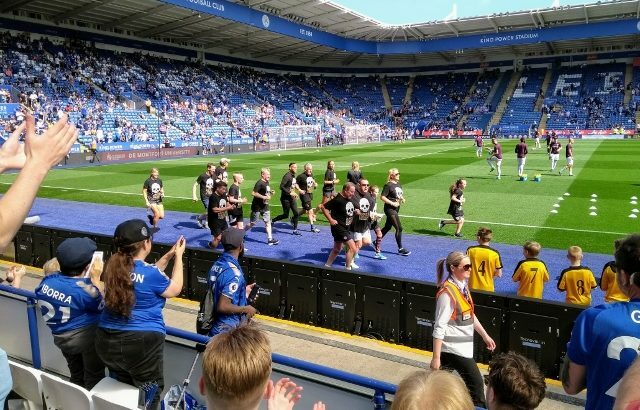 As I was leaving the ground, I did not hear any supporting comments for Puel and the talk was once again about how he could survive into next season. The current players are unable to play to his methods and if there are to be wholesale changes to bring in the type of player who can, how much time would he have to implement his system and gain the results that he needs to keep his job? 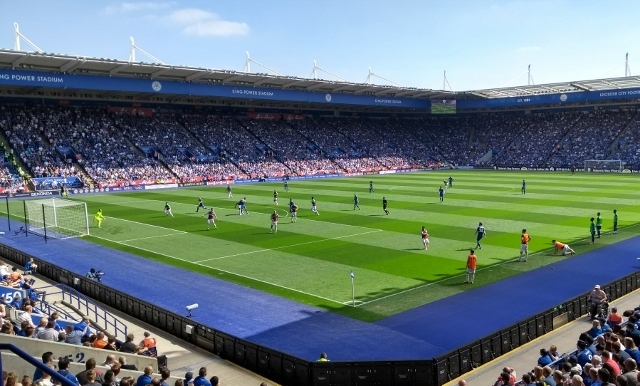 Leicester City: Hamer, Benalouane, Morgan, Maguire, Fuchs, Choudhury (Iheanacho 61), Iborra (Dragovic h-t), Mahrez, Silva, Diabaté (Gray 61), Vardy. Subs not used: Jakupovic, Thomas, Barnes, Hughes. West Ham United: Adrian, Rice, Ogbonna, Cresswell, Zabaleta, Kouyate, Noble, Masuaku, (Evra 90+3), Mario, Lanzini (Carroll 75), Arnautovic (Fernandes 75). Subs not used: Hugill, Obiang, Cullen, Trott.